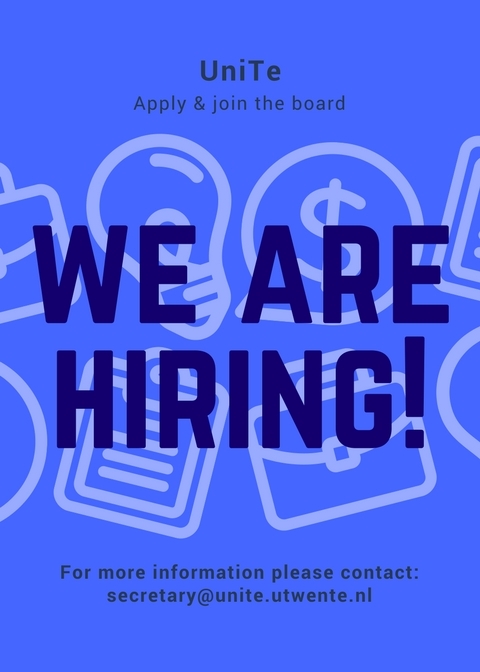 – The position of the Treasurer is available from January on. 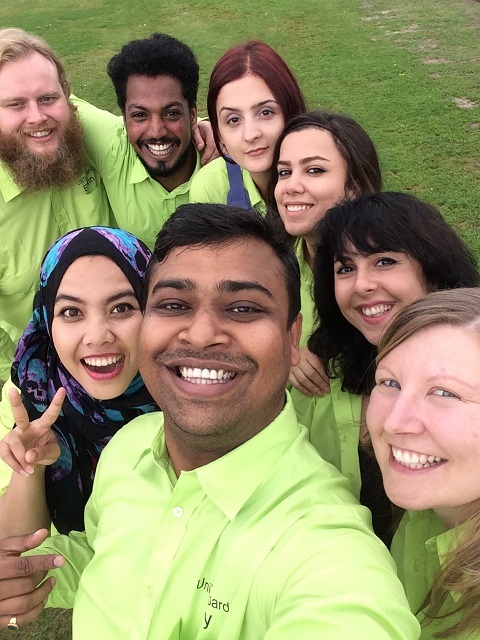 Join our board and have the unique chance to make a difference for world associations and international students. 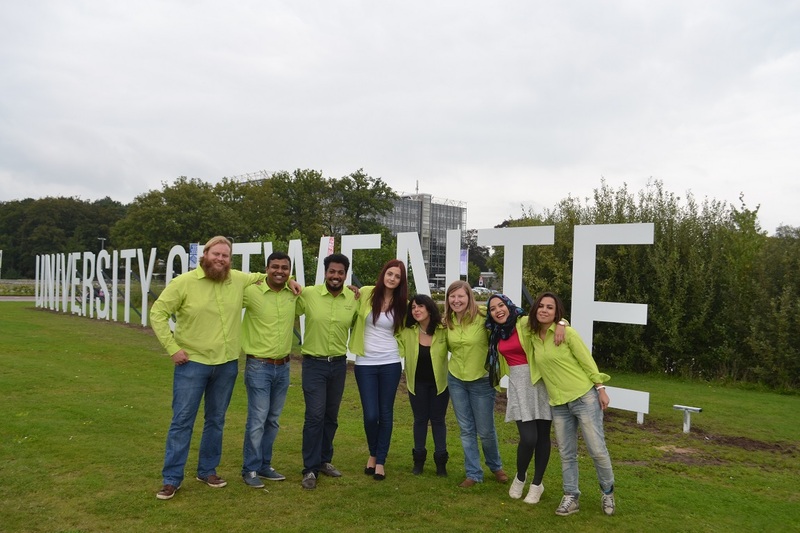 Apply by sending your resume and motivation letter to secretary@unite.utwente.nl. 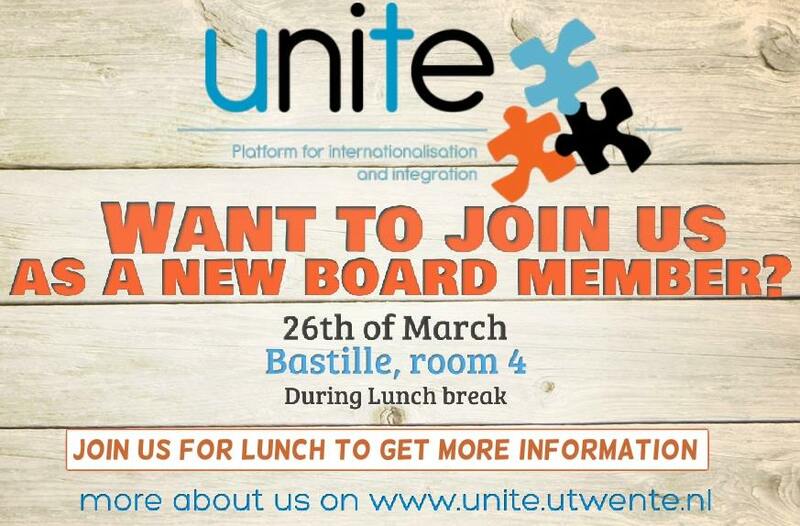 You want to know more about UniTe or the free board positions? 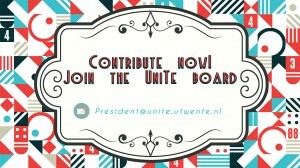 Feel free to ask us on FB or contact us via secretary@unite.utwente.nl. UniTe board ’17-’18 now established! The recruitment for a new UniTe board has been successful. A new five-headed board is now ready to invest in the world associations and international community of the University of Twente! 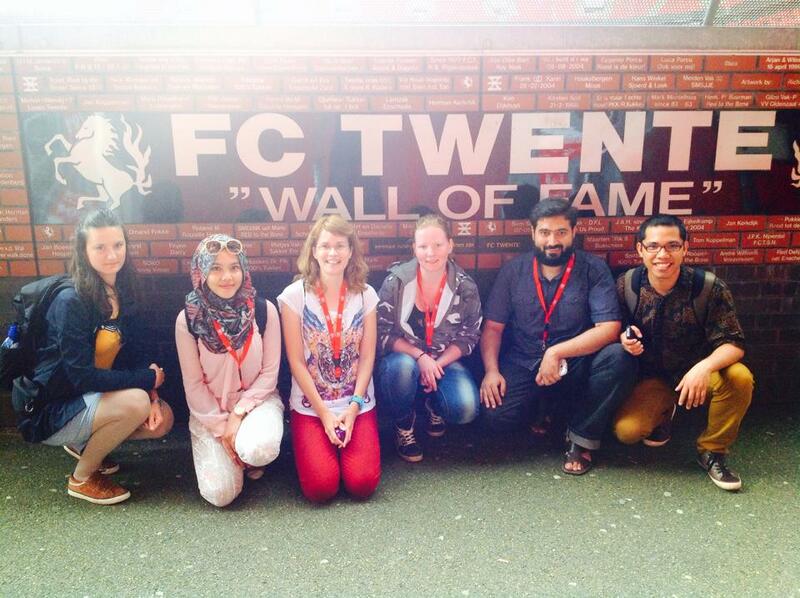 The five members are: Jason Song, Miriam Haas, Roseidys Primera, Didre Schutte, and Naveen Kumar Setty. UniTe is looking for new board members for 2017-2018. 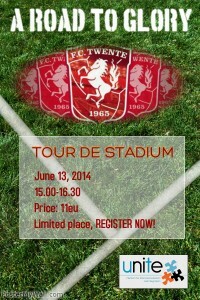 This is your chance to make a difference for the international community of the University of Twente. Do you want to use your skill or expertise to support the world associations? 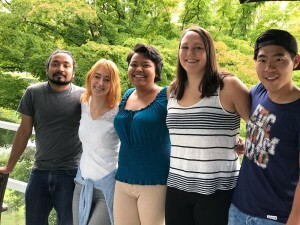 Do want to guard their interests at different levels of the UT organization? 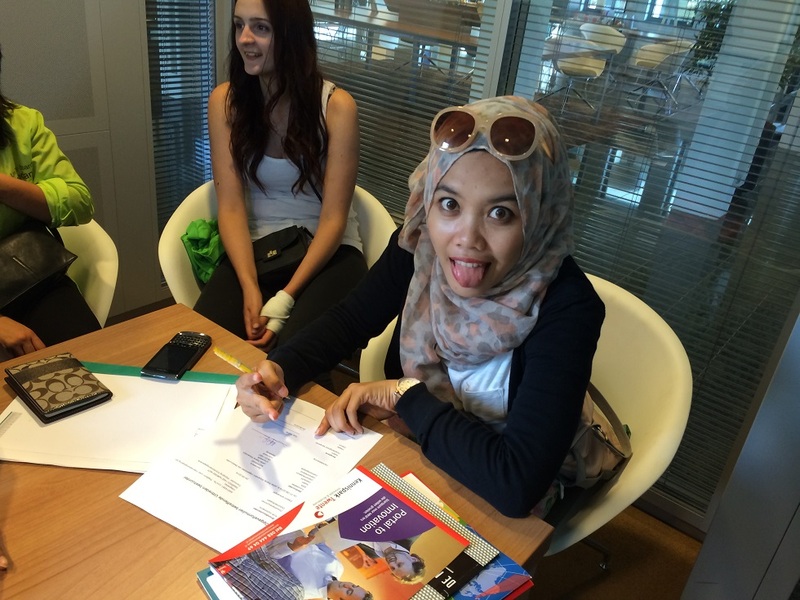 Do you believe you are the person to talk to regarding internationalization and international students? Then this is your chance! As the board of the world’s umbrella associations, you have the opportunity to do all of these things. 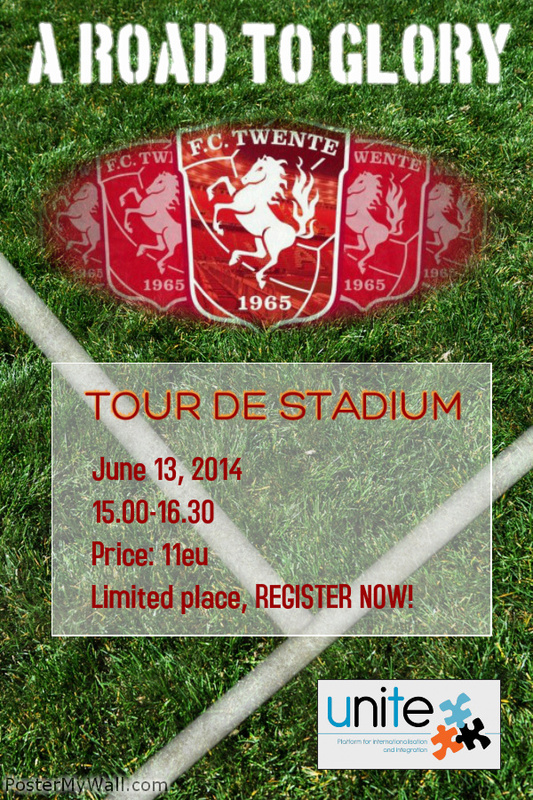 To learn more, you can join our board interest lunch on Thursday June 8, 12.30-13.30 at the Global Lounge (Bastille). We will be serving pizza to attendants! To apply send your motivation (describing why you want to be on the board and what you have to offer; max. 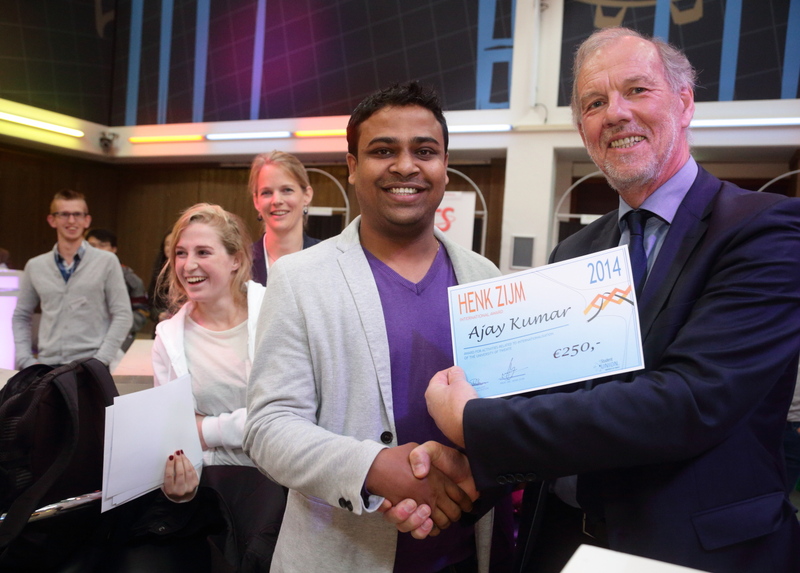 1 page) and resume to president@unite.utwente.nl. The deadline is June 23, 2017. It has been a long time since the UniTe website has been updated. This means current affairs may not yet display, and information that is available may be outdated. Please bear with us while we’re working on this! UniTe is looking for new board members. 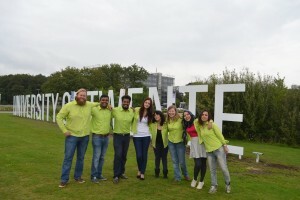 Are you interested to become a part of UniTe and to represent the true internationalization spirit of the University of Twente? Then you are welcome to join our board interest lunch on the 26th of March. On 31 August 2014, the departing board of UniTe welcomed the new board officially and signed the change of board/directors in our articles of association at the KvK office in Enschede. 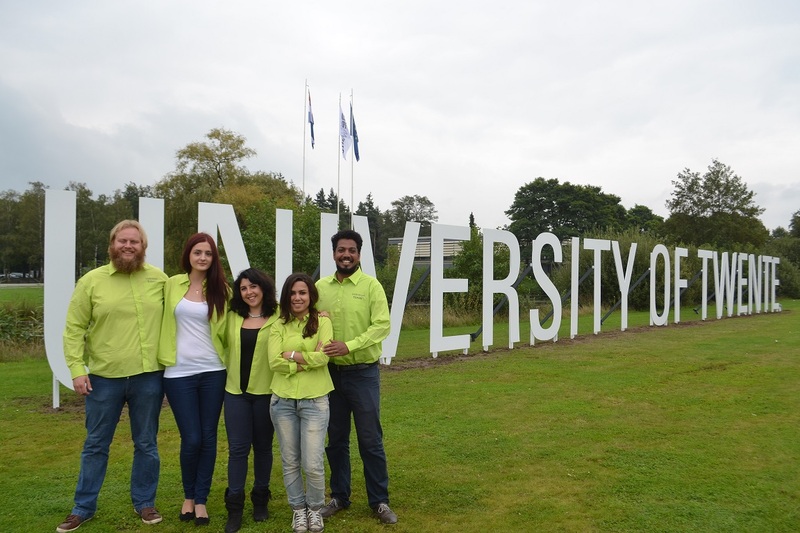 The new board took office from the start of the 2014-2015 academic year from 01.09.2014. The departing board of UniTe wishes them great success! 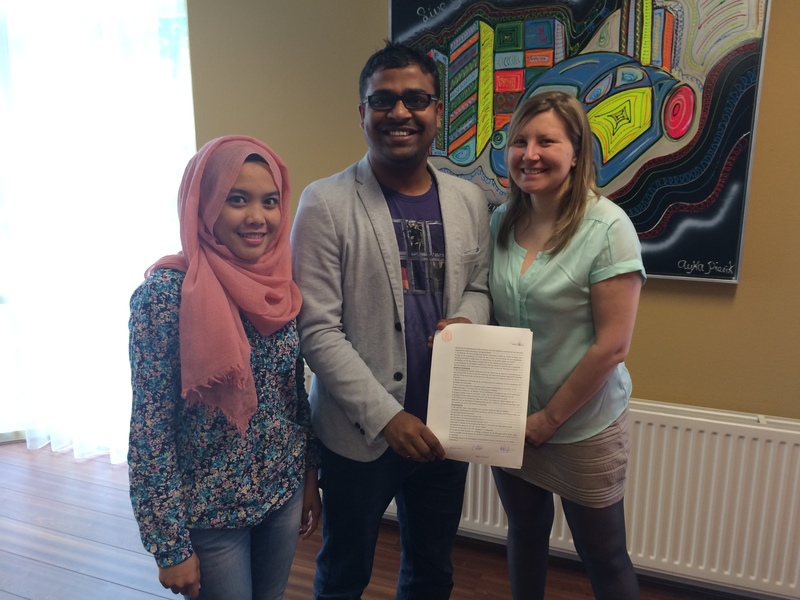 On 04.06.2014, the board of UniTe signed the articles of association i.e. 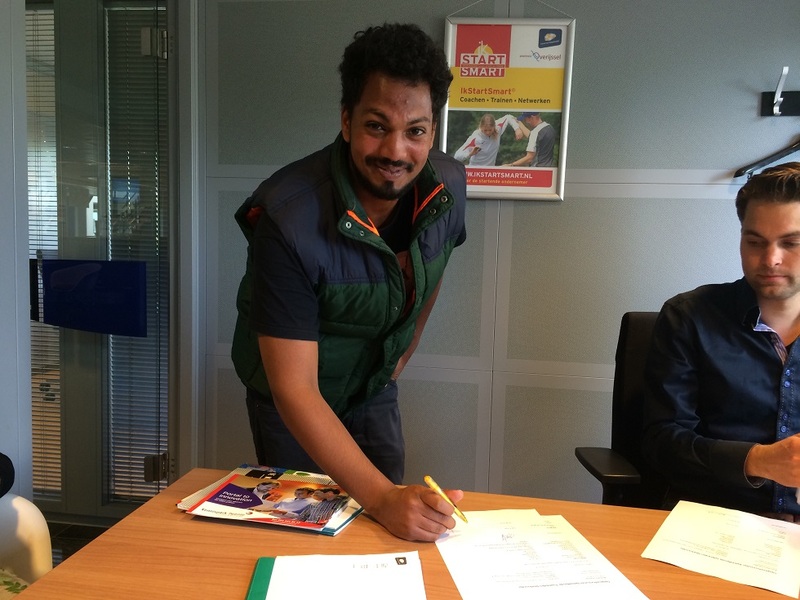 the statutes and bye-laws at the notary and also registered with the KvK. This marks a major milestone in the history of UniTe and a step forward in gaining recognition and providing a defined structure to the platform. With this step, the board of 2013-2014 also becomes the founding (legal) board of UniTe. All three of us would like to congratulate and thank all the members and well-wishers of UniTe who made this happen. You can read the statutes and bye-laws. Bastille, Kamer 332 – Drienerlolaan 5 – Enschede – University of Twente.